Dieser Beitrag wurde unter Fotografie, Kärnten, Natur, Pilze, Sommer, Stillleben, Wald, Weingartenpfirsichhof abgelegt und mit Austria, Carinthia, Mushrooms, Nature, Photography, Still life, Summer, Wood verschlagwortet. Setze ein Lesezeichen auf den Permalink. Chanterelle, my all time favourite mushroom, the flavour is just so intense without being overpowering. I usually have to buy my chanterelle rather than collect my own so they are always very expensive but a few go a long way and are all the more special. As for your collection that’s an absolute feast beyond my wildest imaginings! 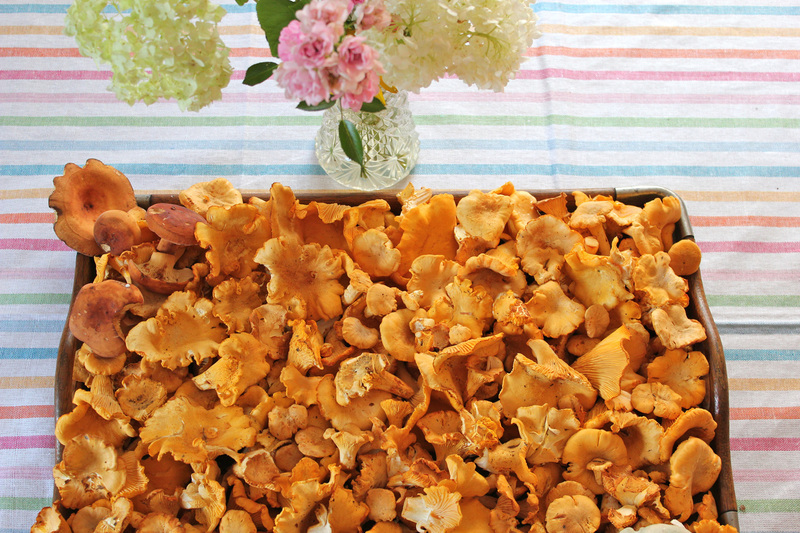 We collect chanterelle in the wood and often we find a yellow place and we can smell the flavour before. We eat about 43 different mushrooms.